and go into org/mate/caja/desktop and adjust the settings. 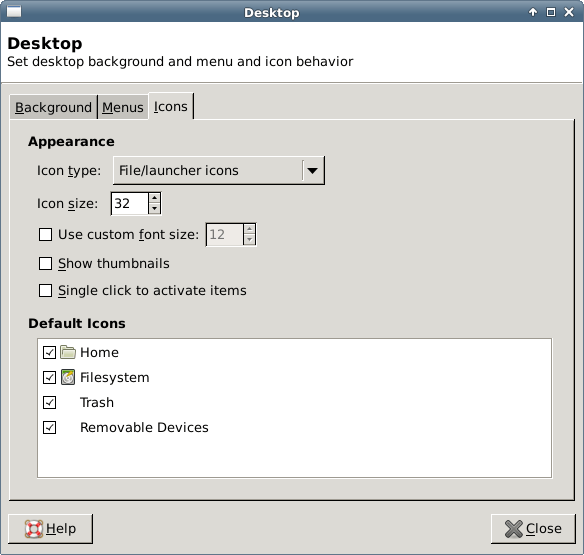 Firefox icon is set as described in LXDE section. 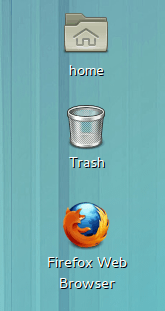 Handle the firefox icon as ususal. Gnome 3 desktop requires a totally strange and unusual workflow. Actually, I’ve never meet anyone who likes it. I wouldn’t bother changing my workflow in order to accommodate Gnome 3, it is much easier to change the desktop to something more friendly. 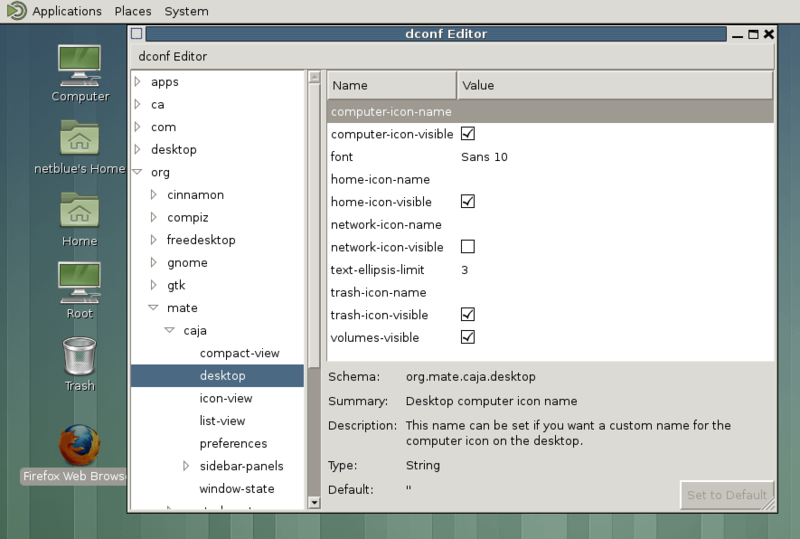 Anyway, icons in Gnome 3 are handled the same way they are handled in Cinnamon. 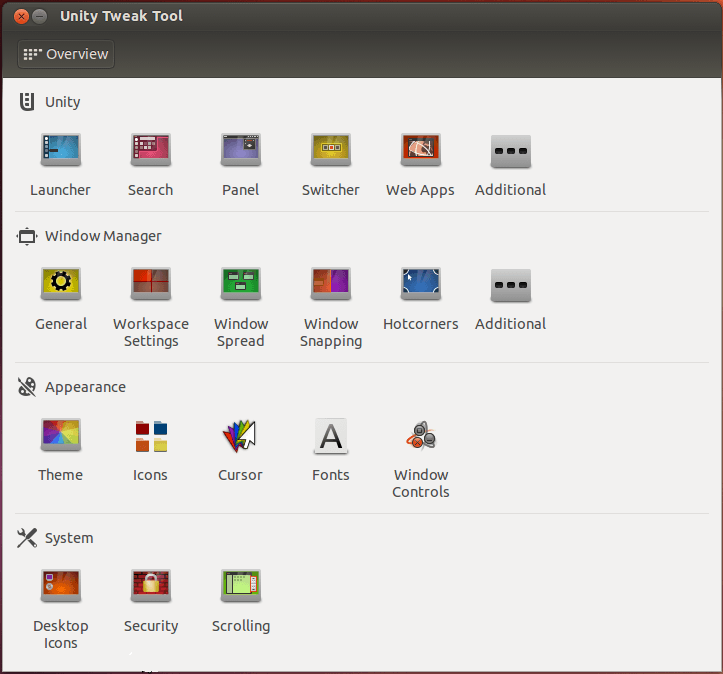 Unity is another desktop featuring a totally different workflow. It is a cellphone workflow. Get used to it and you’ll be able to play Angry Birds all day. It allows you to customize most aspects of the your desktop, including your desktop icons. Think about your desktop environment as an implementation of a physical desktop, like the one you used to have in grade school. It should help you do your work by managing the location of application windows on your screen. In Linux, you have the power to choose your desktop environment, and you can set it up as you need it to be. Hey i really liked your article. Can you give at least a clue how can i edit the raspbian background and images? I am a little stuck and don’t know how to edit and where the files for that located are.